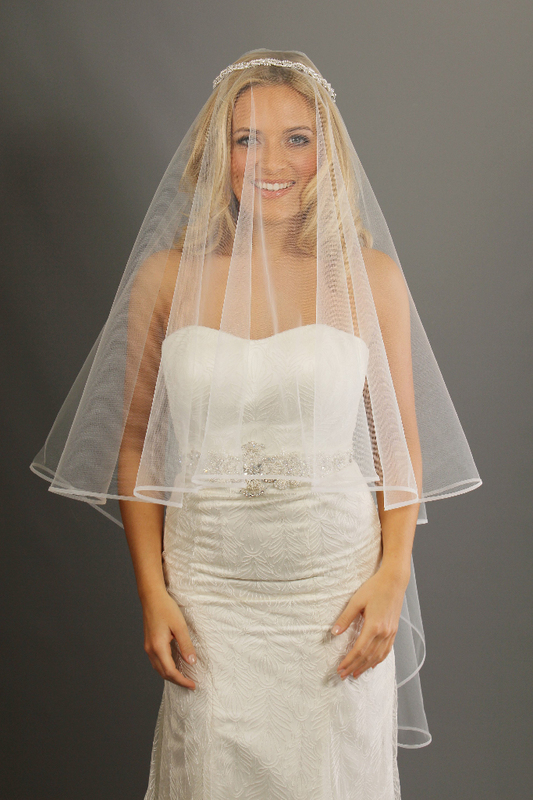 Trying on a veil in-store is a moment in itself. 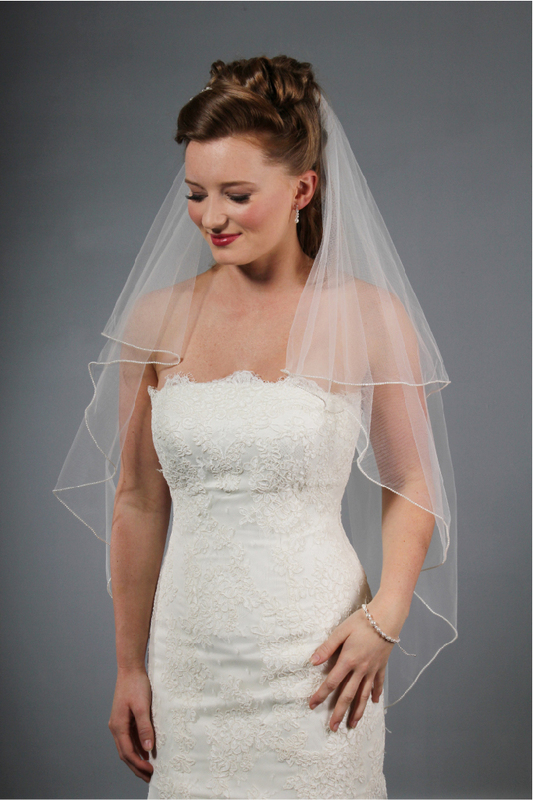 Just when you think your dress couldn’t get any better, sometimes a veil is the icing on the cake, often causing eyes to fill up in the room. In that moment, it’s suddenly real. You’re a bride. 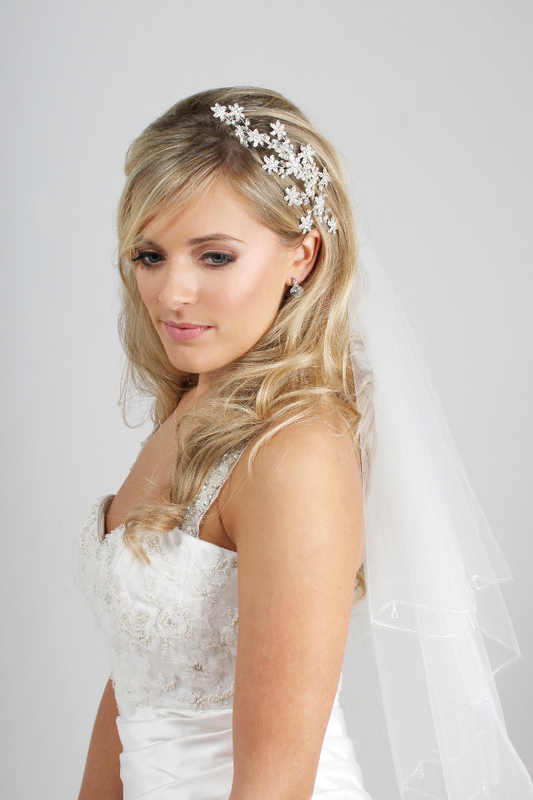 We stock a large variety of one or two tier veils, in all lengths and finishes. 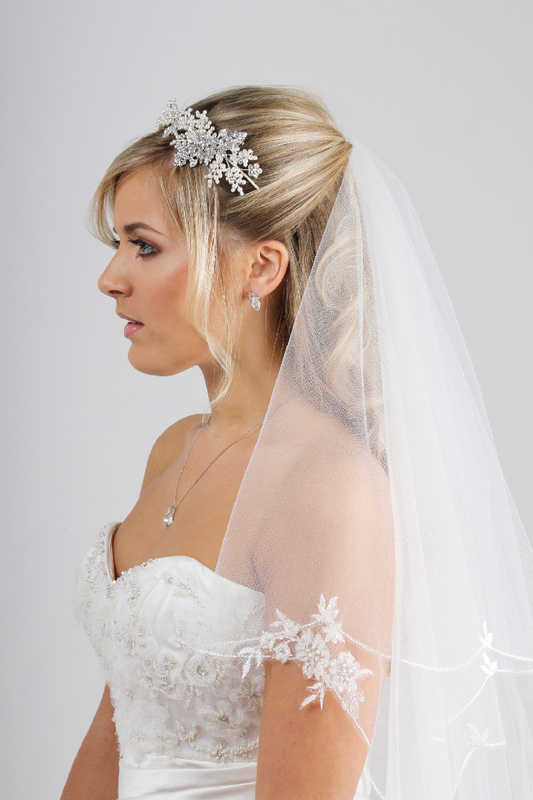 From lace edging, applique decoration, plain, edged and sparkly, we have them all.